Perhaps as never before, “customer experience” is top of mind for both brands and marketers–even at this point if it’s mostly only in words than in deeds. We’ve talked about the importance of customer service and customer experience before, but now the concept is capturing the imagination and taking more creative turns than ever before. It’s not simply about having a well-trained staff; the new endgame is to create an instantaneous relationship with consumers by offering immersive experiences that provoke both hearts and minds, and simultaneously titillate the senses. As we’ve repeated often, PRDoctorChicago’s mission is to promote shared learning regarding the practice and history of public relations, as well as related disciplines. In that regard, we’re happy to reblog an article and blog post, each with important insights on the new trend of experiential marketing. First, this post from a recent dispatch by Jeff Bullas, content producer and social marketer extraordinaire, on some of the successful on- and offline customer engagement strategies used by Starbucks. “Digital immersion does not come naturally for offline brands as it hard to develop that mindset when you are not a technology company or unfamiliar with the web and its fast moving channels. Then an article in The New York Times on how the push for stand-out experientials around already high-stakes popular culture events like the “Oscars” is setting a new standard for all marketers and sponsors. “The concept is to offer consumers tangible ways to connect with brands, in a belief that such engagement is more likely to stimulate positive word of mouth and discussion in social media. That expectation was recently encapsulated by a headline on an article in the Direct Line blog from Direct Marketing News: “What’s better than an ad? 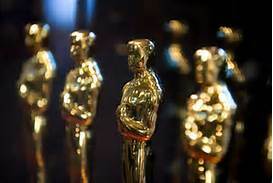 An experience.” Those participating in experiential marketing surrounding the Academy Awards this year include Banana Republic, Chobani, Evite.com, Fiat Chrysler, Grey Goose, L’Oréal, Stella Artois and two magazines, People and Vanity Fair. Do you have tried experiential marketing? Share your experience with us below.